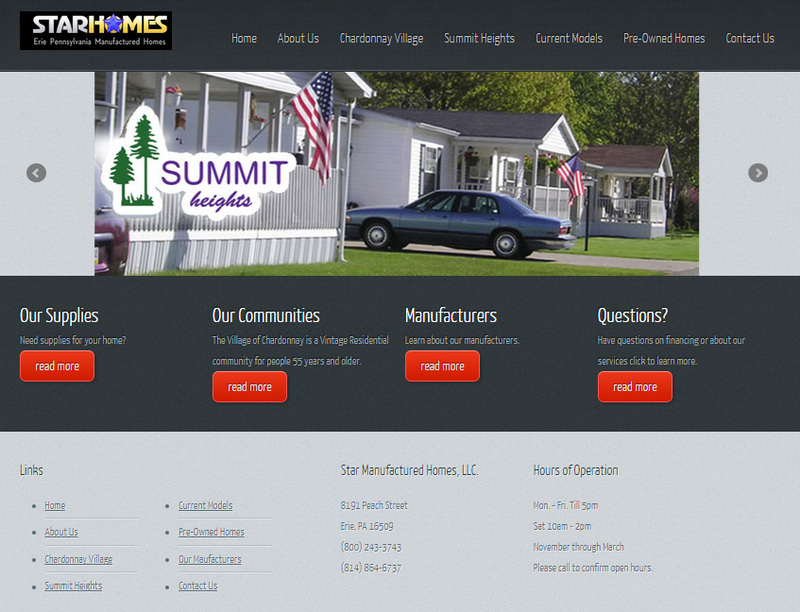 Star homes is a family business that is now in its third generation, serving Erie County since the 1950s. Having installed 1000's of homes in Northwest Pennsylvania we have earned the right to be named -- the local authority on manufactured homes. We have on display an inventory of select model homes, from single mobile homes to 2000+ square feet ranch homes, for customers to view. At any given time spec models are available for immediate occupancy, or you can custom order a home to suit your taste and needs.